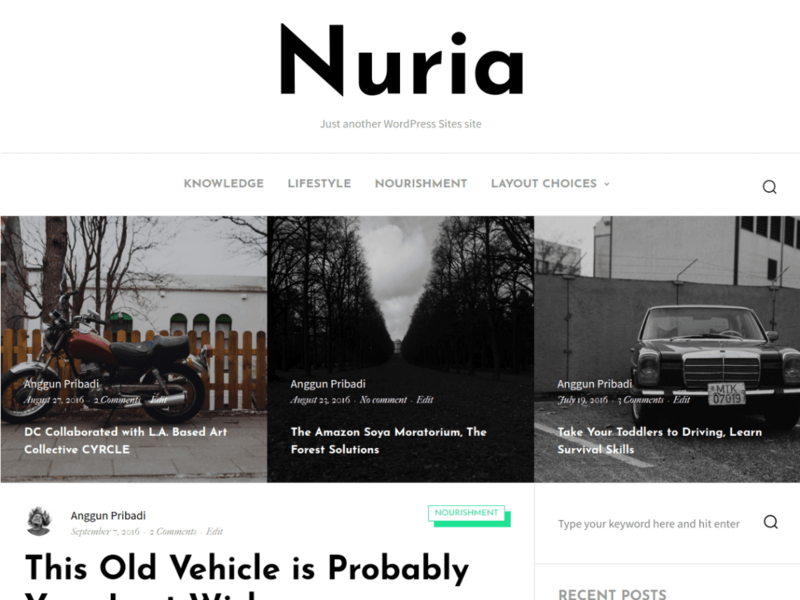 Nuria is a clean WordPress theme for blogging, it can be for personal, travel, food or any other blog. Designed by focusing on readability. Developed following modern web technology and trends and follow the Web Standard, such as CSS flexbox, SVG for icons and graphics.